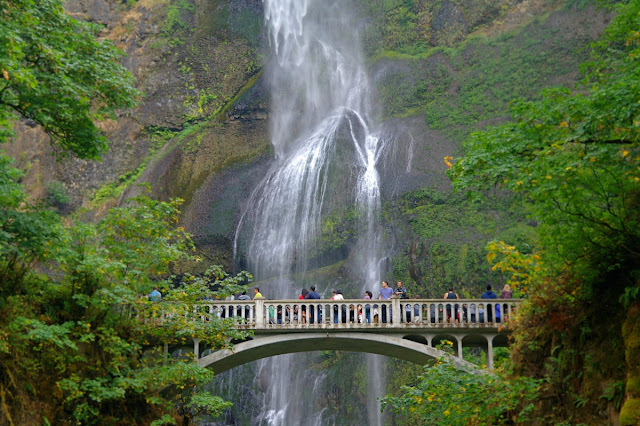 Oregon's iconic Multnomah Falls near the Columbia River Gorge are ethereal in their beauty. They are just one of the many falls in the area that attract thousands of tourists every year. The lingering damage from last year's massive wild fires in Oregon has made it a challenge to park and see them, as detailed in my Trip Advisor review. Regardless, we count ourselves lucky that we were able to see them again on this year's road trip.